Do you want to celebrate small screen superheroes with your most treasured friends and family members this holiday season? Or do you know someone who's obsessed with Barry Allen and Oliver Queen, but the words "lazarus pit" and "metahuman" mean absolutely nothing to you? 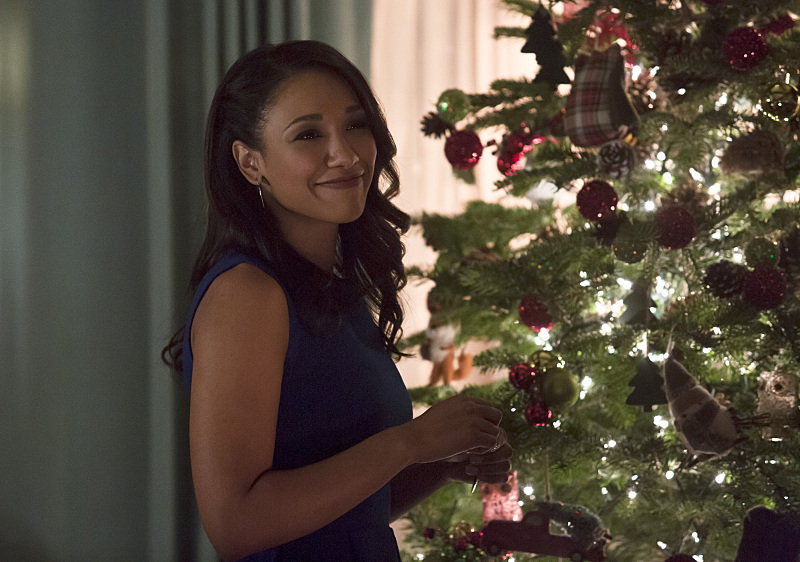 Either way, I've got you covered with this The Flash and Arrow holiday gift guide that'll up your fandom game from boring old DVD sets and basic tees. The CW has built a rich universe with these two shows (and I'm super pumped for Legends of Tomorrow to take it to another level) that has created an expanding group of fans. Just like the characters of these DC series, the fandom consists of many different people, who all have their own reasons for loving both shows, and there are gifts out there to reflect all of their interests. The holidays are about togetherness, and there's no better way to celebrate than to bond over such good-hearted shows. Ready to make someone's day with the perfect DC gift? From obscure clothing choices to hand-made accessories and clever references, here are my picks for the best Flash and Arrow presents. There were so many people wearing these as a casual cosplay at New York Comic-Con this year, if your friend doesn't already have one, they likely have their eye on it. These are exactly like the shirts that S.T.A.R. employees wear on the show. RedBubble lets you customize the color and type of clothing (though Barry Allen typically sticks to a sweatshirt or long-sleeved tee shirt in navy on the CW series), but the price varies. Not to blow your mind any further, but RedBubble also has the Earth-2 version of the logo available. Sure, they make Reverse-Flash, Flash, and the Green Arrow himself in Funko — but in case your fan wants something a little more obscure, how cute is this Captain Cold? You should also consider Felicity Smoak, but she's out of stock on Amazon so if might be a bit of a hunt if you want to get it before the holidays. I'm a huge fan of geeky earrings, and these are so tiny and adorable! They're a bit retro, too. You don't have to be into jewelry to appreciate cute accessories, and this keychain is perfect for Arrow fans! Give the gift of girl power, and don't think about that midseason finale cliffhanger. While the Metro Police aren't always on Team Arrow's side, this is still a cool accessory to have on you for last-minute Arrow fan support. If the recipient is anything like me, and Harrison Wells is their favorite ever-sketchy character on The Flash, they need this Reverse-Flash ring. If your friend and/or loved one is a fan of these CW shows but wasn't a comic reader growing up, it might be cool to give them a little background reading before each show returns. Here are two options, one for each hero. Books are also the easiest thing ever to wrap, if that's a deciding factor for you. Another RedBubble product, this mug will make you look like you walked out of The Flash (and Arrow if you squint) with a speedster latte made just for you. This designer also makes a sticker of the CC Jitters logo, if you want to save a few bucks or get a little more creative with your gift. Y'all, Carlos Valdes (also known as Cisco) can sing. For The Flash obsessives who love to support everyone involved, why not gift some of his music? Ready to speed off for some shopping? It's honestly awesome that there are so many choices for fans out there, who can let their Arrow and Flash flags fly this holiday season.